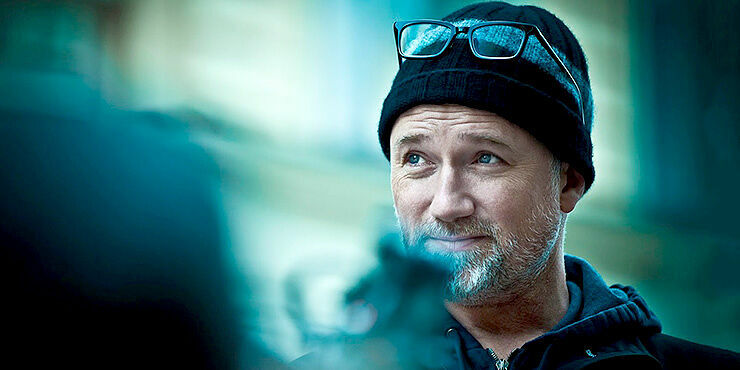 As this video states, David Fincher isn't necessarily a filmmaker widely known for his visual effects movies. Yet for instance in his movie about Facebook, The Social Network, there are 1000 vfx shots. 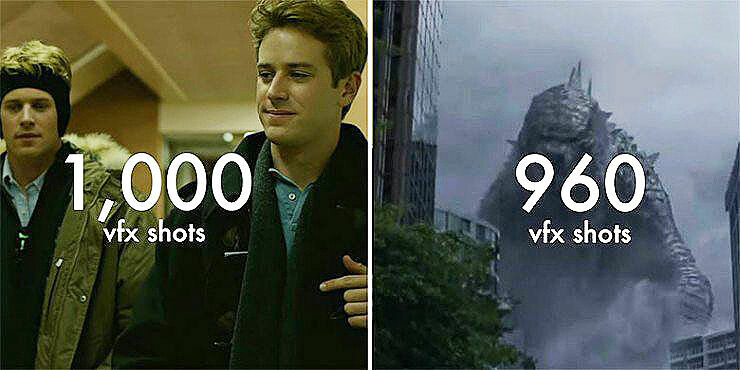 Compare that with the recent Godzilla movie, which has 960 vfx shots. Seems like the American director and producer loves his effects. Which means that David Fincher does make VFX movies, it's just he conceals the CGI so well that it's barely perceptible. In this video by Kaptain Kristian—whose previous pop culture video essays have looked at Ben Burtt's Star Wars sound effects, Frank Ocean's musical identity, and South Park's use of vulgarity—Kristian looks at how the director stealthily uses digital effects to enhance the realities he's portraying. We all know what a craftsman the director is when it comes to his moviemaking (Fight Club and Gone Girl are perfect examples of his work where focus on characters is key). But Kristian notes how he's also a technical whiz too. Noting how David Fincher has been immersed in the VFX industry since he got his big break working on the special effects ILM (Industrial Light & Magic) were producing for Star Wars: Episode VI - Return of the Jedi. Of course in some of his movies David Fincher's use of VFX are more prominent than others. Like, for instance, The Curious Case of Benjamin Button where Brad Pitt was aged and shrunken. But other times it's far more subtle. And Kristian explains how that's because the director knows how and when to use effects. Using them to service the story in ways that the viewer wouldn't even know. Like the beginning of his movie Zodiac which is set in San Francisco. Instead of showing a shot of the Golden Gate bridge to let us know we're in SF, which is a tired movie cliche. He instead zooms along towards the SF waterfront as it would have looked at the time of the movie in 1969. Complete with a historically accurate skyline and a reconstruction of a freeway that doesn't exist any more due to it being destroyed in the earthquake of 1989. It's the subtle things like this that really defines his visual film making style. David Fincher movies rock! In fact the technicality of David Fincher's filmmaking is mindblowing. He's a true master of deception. And you'll come away from this video with an even greater respect for his moviemaking skills. "His visual effects are always in service of the story, they're not there to be recognized, they're not there to impress, they're there to immerse." notes Kristian. Check out more of Kaptain Kristian videos on his YouTube page.